As I approach the last week of our school year, I am taking the time to look back at this past year and what we did well and what we can do better next year. 2. Open up our lab w/ Hangouts and Skype. For someone who is great at connecting other classrooms, I am horrible in connecting mine. We have participated in Virtual Field Trips but not in connecting w/ other classrooms. I HAVE TO BE better at this! 3. Work with teachers more so that classroom learning overlaps w/ computer. This year, several of the teachers DID take the opportunity to overlap a class project with a tech option. Our 5th grade created State Discovery Boards rather than paper posters. Our 2nd grade created Vertebrae books w/ Book creator rather than a worksheet. Our 6th grade made Book Review imovies. So, 4 more grades to help with ideas that overlap….and then we can go from there! 4. Continue to encourage the teachers to not see the ipads as “filler” time but LEARNING time. Always always always a continual goal! I need to continually encourage them to “KNOW” the apps so that they can see a student’s learning and be aware of what the apps are teaching. 5. Figure out our 3D printer and use it with ALL grades not just 4/5/6. I am very much a newbie to our printer and tinkercad and we need to 3D print with more purposeful plans. I love that the students are creative. But with that creativity we need to include planning and reflection. 6. Expand our robotics and coding beyond December. To be honest, we could CODE all year long! And Robotics too. But to be honest, so far we are free driving and working with templates in coding. In 2017/2018, we will take the next step to “higher-level” thinking with both coding and robotics. 7. Encourage students to story board more. I am realizing that I tend to be a “jump in the deep water” with my kids and we need to backtrack a bit to more planning. I love that Tony Vincent has shared out imovie templates (those are so helpful), but we do need to use them more efficiently. 8. Expand our stopmotion opportunities. We added Stop Motion to our 3rd grade curriculum this year and WOW, I was amazed at my kiddos! And we need to add even more!! 9. Have more PD opportunities for teachers to learn ways to use ideas in their classroom! This past year, we had Thursday ipad meetings for about 1/2 the year…..we need to expand this to the entire year. I am toying with the idea of putting out a Tuesday Tech Memo. 10. Showoff student work via TV, blog, newsletter. And I need to share more with parents and YOU!! Yep — those are my plans and goals. Each year — something new. This is my 3rd year of being the Elementary Technology Teacher — and each year — something has been the highlight of the year. My first year — I think DOT week (based on Peter Reynold’s book “the Dot”) was a highlight — especially with the Virtual Reality App that made the DOT come alive. We went from a flat white paper to something that jumped off the page….and the kids saw possibilities. My second year — had to be CODING. Though we used it my first year…..the second year was when I saw the impact, the enjoyment, and the learning. I honestly wish I saw students more than 1 time a week. Sometimes I wish I was with them 8 hours a day — we would never run out of things to learn. Students began to grasp the idea that they could control and manipulate technology rather than just click, click, click …. and the kids saw possibilities. My third year — was totally unexpected. In April, the day before OpenHouse, I was told we were getting a 3d Printer the following day on Friday. By Monday — I was already designing curriculum and a week later — 4th & 5th were working with tinkercad. And each student ended up creating something unique….and printed it out — to take home. I had a father thank me yesterday — and then again today. He said “my daughter is holding something in her hand that someday she will look back and say “i was there at the beginning of this.””. Students went from hearing science, and hearing math, and hearing metrics, to having to put it into action … and the kids saw possibilities. I know I am resting on some past ideas (imovie trailers, skittle graphs, powerpoint gameshows, wordle picture clouds, etc.)…. But I also know that each year, I have stepped into an unknown possibility and my students have willingly followed (and sometimes lead) along. I have no idea what will be new in 2016/17 — but I look forward to another new step forward…..and seeing possibilities. For a few years now, I had been petitioning to have a Minecraft club…but the admin (at that time was hesitant) and at that time, it wasn’t a battle I needed to fight — so I remained patient. When admin changed, I decided to bring up the subject again — and admin said for me to write up a proposal and it would be considered — and I received a “go ahead” and started to make some plans. At first, I had thought we would use the ipads and purchase the Minecraft PE app and we would all learn together. But then, after attending a session at a local conference — my admin and I decided to pursue the Minecraft EDU environment. SIDENOTE: I had printed out the Minecraft Mouse Guide, thinking perhaps one or two students might need it — but in fact, all the kids needed it because NONE had every played minecraft on a computer. And the first week of CLUB went great. It took the students about 30 minutes to wander through the tutorial. I was able to transport to students if they needed help — or transport them to other students. Tuesday’s club was busy and loud — Thursday’s club was more quiet but still very busy. We ended the day with an excitement of anticipation for the next week — which was good since I am still such a newbie at this. For the second week of club, I went into the tutorial world again and created a scavenger hunt for the students at the lighthouse. I placed RED BANNERS (for TUESDAY) and BLUE BANNERS (for THURSDAY) and then hid chests near the banners with different supplies. Over 40 chests were hidden — so I got in some good practice of right mouse/left mouse clicking, adding inventory, saving games, creating caves, flying (still something that makes me dizzy) and more. Tuesday’s Class LOVED this — and after the scavenger hunt (which took 25 minutes) they had free build time. Thursday’s class is today — so we will see how it goes. For Week 3 and 4 — students will be in the SNOWY WORLD which I am creating into settlements. Each student will be given a plot of land with 2 chests — one will have generic items (which all groups will have) and 1 will have specific items which they can give or barter with. I am looking forward to seeing how this works. And then week 5 — still working on details. I was thinking of making a BREAKOUTMinecraftEDU experience — but still not sure exactly what that would entail. Plus, though my learning curve is moving quick quickly — sometimes my goals are loftier than my skills. I will probably talk with kids on week 4 for their suggestions. there is construction, collaboration, lots of creativity. I am seeing quiet students step into leadership roles and off task students suddenly 100% on task. I am blessed that on Tuesday, my elementary principal is coming in to help and on Thursday, my superintendent is helping. No idea what will happen next year with Microsoft acquiring Minecraft EDU (http://education.minecraft.net/announce011916/) — but that won’t affect us this year so I won’t worry much. I would LOVE to hear what you are doing with Minecraft — especially Minecraft EDU — so please share. OR if you have some tips or tricks for me, that would be helpful as well. I have opened my arms wide to the options of Green Screen — mostly, due to the EASE of using the DOINK Green Screen App. 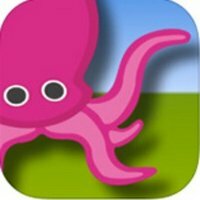 • Green Screen by Do Ink is now a universal app! Now you can make incredible green screen videos on your iPhone! • We’ve given the user interface a major facelift, with a cleaner, more functional design! • Uses standard iOS user interfaces for importing and exporting images, videos, and project files from any cloud-based storage service. • Support for 1080p HD videos (1920 x 1080 resolution). • Undo/redo support in the main editor. • Copy/paste sources on the timeline. • Place camera sources on multiple layers at the same time, and set the start/stop times for camera sources just like any other source. It just keeps getting better — and now that it can be used on the iPhone as well — is WONDERFUL! I know I do gush about this app — but it truly is both easy to use and very very effective. This week — with Hour of Code — we are going to try to green screen our BB8 robot….but more on that later. It is not a free app — but it is worth every single penny of the $2.99 cost. And please share below, how you are using the DOINK App as well.